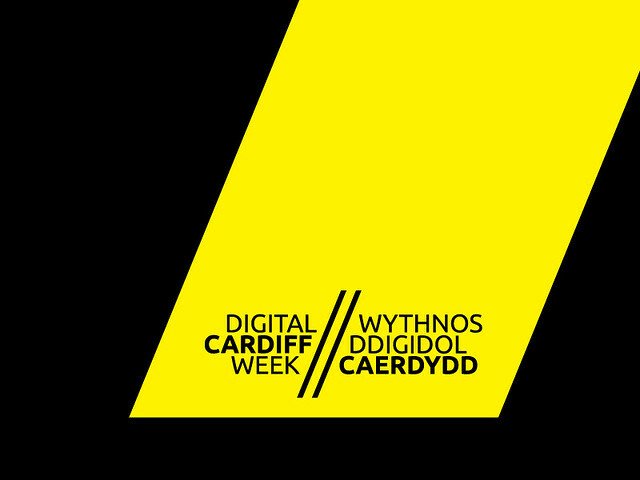 For the the past few months Hoffi has been working in partnership with S4C, BBC, WMC, Creative Skillset Cymru, Media Academy Wales and Welsh Government to create the branding for Digital Cardiff Week. Digital Cardiff Week is a major event hosted by Wales Millennium Centre between June 24-27, 2013, with free talks, training and events for the digital and creative industries. Digital Cardiff Week brings together the best talent in the public, private, educational and training sectors to explore new ideas, innovation and opportunities across the whole digital spectrum. The event is led by a number of partners including BBC Cymru Wales, S4C, Cardiff Council, Creative Skillset Cymru, BAFTA Cymru, Media Academy Wales and the Welsh Government. Highlights of the week include Digital Futures Day, which will look at what digital broadcasting will look like in a converged, internet-connected media environment; Digital Skills Day, a day of free taster training sessions from across the production chain; the Wales Games Development Show 2013, showcasing games and interactive development companies and projects from across the digital media industry in Wales; and Digital Economy Day, which will see the best talent from the Welsh creative industries come together with their digital sector counterparts to explore new ideas and identify areas of digital convergence.